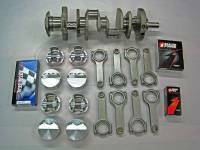 Butler Performance 455-481 ci Balanced Rotating Assembly Stroker Kit, for Aftermarket Block, 4.000" str. Butler Performance 482-511 ci Balanced Rotating Assembly Stroker Kit, for Aftermarket Block, 4.250" str. Butler Performance 511-541 ci Balanced Rotating Assembly Stroker Kit, for Aftermarket Block, 4.500" str.